For the purposes of this part of ISO/IEC 17050, the object of a declaration of conformity can be a product, process, management system, person or body. 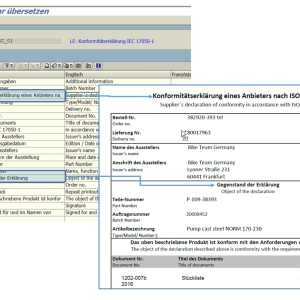 BS EN ISO/IEC 17050-1:2010 does not define any particular object for the declaration of conformity. DECLARATION OF CONFORMITY According to EN/ISO/IEC 17050-1 DoC ID: N-Tron_DoC_KEMA_GOOSE Date of Current DoC: Oct. 17th 2013-A 1 This declaration of conformity is issued under the sole responsibility of the Manufacturer.